And I mean this in the whiniest voice possible... I wish spring would come already! What's the point of splurging on so many pairs of pastel skinny jeans and high-waisted shorts when it's still cold enough for snow outside? On the bright side, it's going to be close to 70 degrees on Thursday. Stand back everybody, the gloves are comin' off! Screaming for spring/summer aswell over here!! very original coordinate! 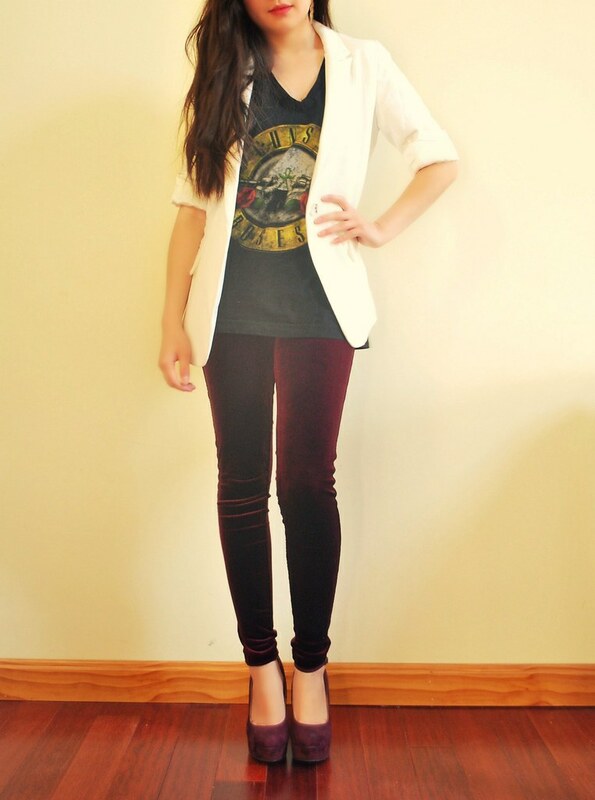 I would never attempt to use velvet on pants but you made it look so classy! Cindy, you have the most effortlessly cool style. Love this combination - it's an outfit that I would wear alll the time. super fancy that awsum leggings! Those wine leggings are to die for!! The velvet leggings are so gorgeous! I love the color.